Compositions : Areca Catechu 25mg ,Acacia Arabica r.t.s 12.5mg , Butea Monosperma r.t.s. 12.5mg , Salmalia malabarica schoot r.t.s. 50mg , Pterocarpus Santalinus 50mg , Saraca Indica 12.5mg , Symplocos Racemosa 12.5mg , Coriandrum Sativum 12.5 , Pueraria tuberosa 37.5mg , Withania Somnifera 50mg . Benefits : This medicine is beneficial in Leucorrhoea. 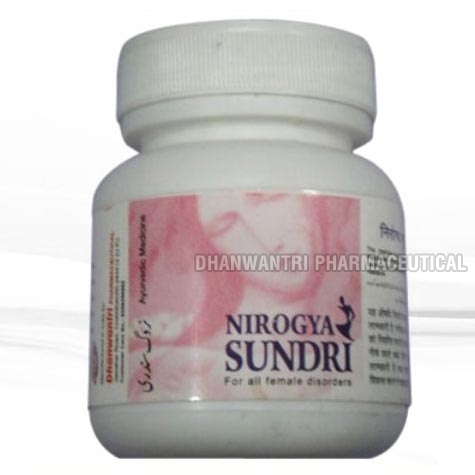 Regularizes menstrual irregularities. Provides new lease of energy in the body. Dosage: One pouch should be taken each in the morning and in the evening with either water or milk.